Welcome To Ham Brothers . . . .
years for companies like Uwharrie Vineyards and Andrews Inc.
loyalty by our hard work and dedication to customer satisfaction. located on 5 acres just outside of Charlotte, NC. your fabrication company of choice. contract manufacturing with the fastest lead time an exceptional on-time delivery rate. finishing department for paint application and final product assembly. Ham Brothers can do it all. At Ham Brothers we stand behind and back our work with a 100% customer satisfaction guarantee. 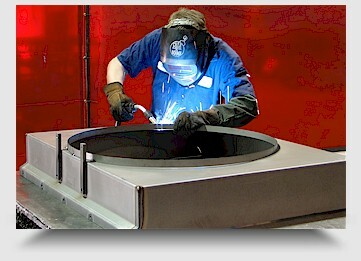 Contact Us for a free quote on your next metal fabrication project.